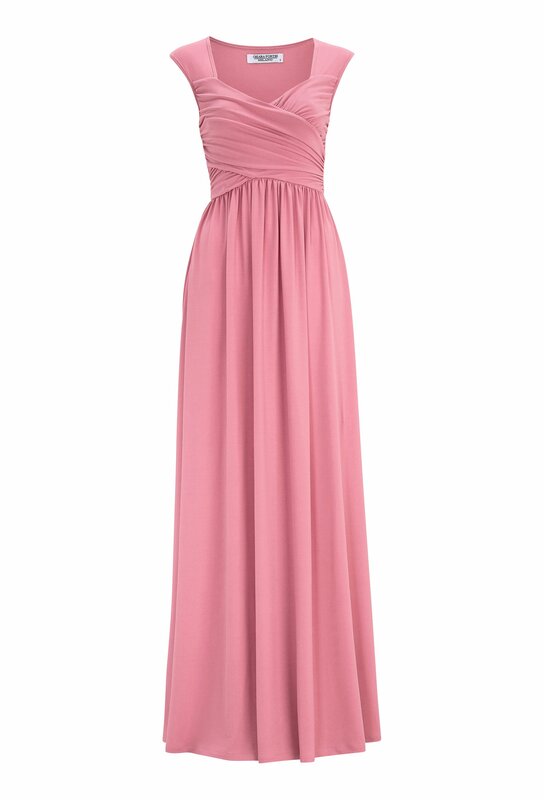 Feminine maxi dress creating a fantastic looking silhouette. Draping enhances the bust and provides a flattering cinched waist, a dress that quickly will become your favourite. It's made of soft stretch jersey that cascades just wonderfully. Silvery Chiara Forthi metal logo to back neck. Length from shoulder seam 139-144 cm depending on size.